Creating the future singers of tomorrow! Photograph provided by Beth Sherby. Overview: The Vocal Music Program at Rush Arts gives students an opportunity to not only develop their voices as singers but also to become complete musicians. Throughout the four years students will be part of an ensemble that performs choral pieces from all different genres, cultures, and periods in history. Students will perform as an ensemble in two major concerts per year and will be expected to do several performance assessments throughout their four years. In addition to the strong emphasis on choral works and technique, students will also develop solo vocal technique and learn how to read and write music. Music theory is as a part of the curriculum as is performance and choral repertoire. This is an academic, rigorous, comprehensive and college preparatory program. 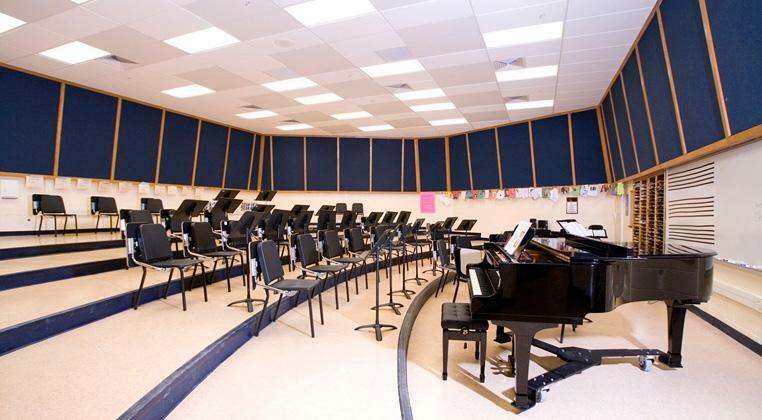 Students are expected to be well-rounded in all facets of music and singing.